As a direct result of the use of computerized devices, the world is now very dependent on software systems and their associated services. Information and communication technologies (ICT) based products and services are now ubiquitous in industrialized and emerging economies societies, be it for commercial, industrial and domestic applications. ICT based products are software systems, and the software is what make these ICT based products and services work. The range of ICT applications and services is wide and continually getting wider, from heart pace makers, traffic control systems, information systems, entertainment through cloud based services. It is necessary to protect the interests of the consumer and to minimize risks of all kinds that may arise from the failure of software systems or mission critical IT services. Never has it has been more important for software and system engineers to deliver reliable and safe systems as well as trustworthy services to business, to industry and to society at large. The ability to design, implement and manage ICT systems and products has greatly improved in the last twenty years. A recognized core body of knowledge in software and systems engineering now exists. Challenges still abound because of the pressure to build and deliver more complex applications, products and IT based services in ever shorter time-frame . Challenges also abound to govern and manage the delivery of IT and IT enable services in a complex environment of international outsourcing and cloud based services. Looking forward, the challenge of developing ever more complex information systems under short schedule and delivering the required IT services in the most cost-effective fashion will remain. International standards play an important role in this evolution. They can be used to reduce costs and complexity when buying software systems and procuring IT services and they can be used to monitor the quality of the systems and products that are produced as well as their associated services. Internal standards also enable the exchange of goods and services. Given that the worldwide IT market is a service market, a solid set of international standards covering processes, good practices and competency is an asset. International standards in IT service management and software and system engineering are also an excellent reference on what is considered good practice by the international community of professionals that work in these areas. Standardization of processes, supporting tools and supporting technologies for the engineering of software products and systems. A summary of JTC1/SC7 history can be found here. Enterprise architecture: in partnership with the Object Management Group (OMG), we are developing and are improving on Open Distributed Processing (ODP) standards to integrate IT and business system definition and provide the software and system engineering tools to implement enterprise information systems. Software engineering environment: we are developing and are improving on standards which make it easier to use software engineering environments and to re-use and re-deploy the data contained in them. 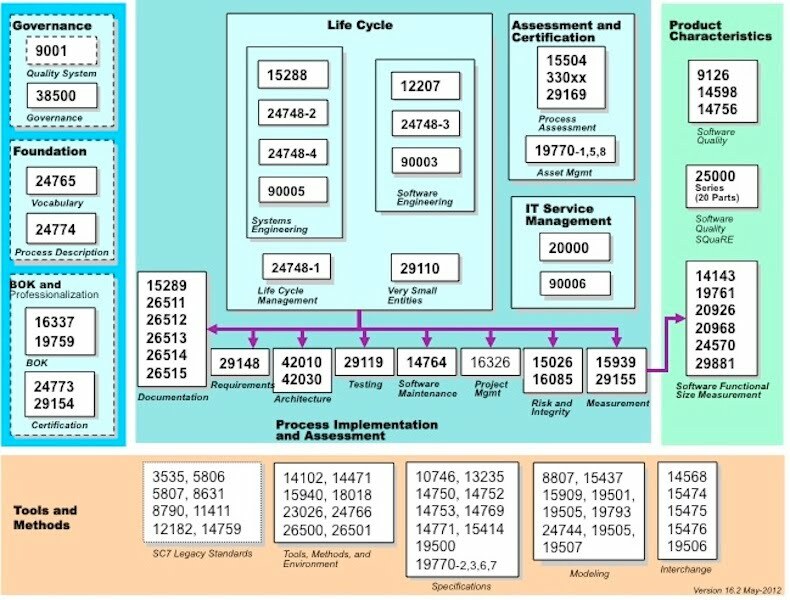 Software engineering body of knowledge: we have worked with the Institute of Electrical and Electronics Engineers Computer Society (IEEE-CS) on their guide to the Software Engineering Body of Knowledge (SWEBOK), and we published it as a ISO/IEC Technical Report. We are now working on a project on the certification of system engineers.